Lacrosse, a field sport not wholly unlike soccer or hockey, is one of the most popular sports in North America. It might not enjoy the same broad appeal as other competitive sports do, but the skill required to play and the excitement it generates keeps it going year after year. Collegiate and professional lacrosse continue to expand throughout the United States and Canada. Lacrosse is played on a field which is 110 yards long and 60 yards wide. Like hockey and soccer, defensive and offensive players are on the field at the same time, passing the ball forward to their attackers so they can score goals. Each player wields a lacrosse stick, or crosse, to field the ball. 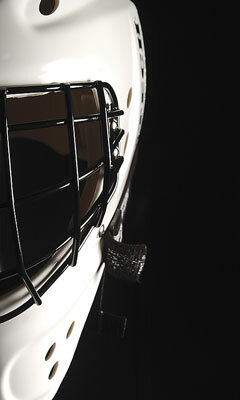 Each side also has one goalie, the team's last line of defense against an opponent's ability to score. Lacrosse can be as rough as hockey, particularly in men's divisions. For this reason, similar protective gear is available. Helmets with facemasks are a must, because lacrosse balls are hard and can cause serious injury. Arm pads, shoulder pads, rib pads and knee pads are also common and highly recommended. Goalies should wear even more padding because of the amount of punishment they'll take while trying to fend off incoming shots. The crosse is the most important piece of equipment for a player, besides padding. Each player's stick consists of two parts, the shaft and the head. Many lacrosse sticks come in one piece, but you can buy two independent parts if you are looking for particular designs. Some players, for example, prefer a certain type of stringing for their head, while demanding a tougher shaft to help when play gets particularly rough. Lacrosse equipment super store includes a game schedule, news, and information about lacrosse leagues and summer camps. Source for name brand lacrosse equipment including sticks, shoulder pads, helmets and gloves. This sporting goods store chain offers a broad selection of lacrosse handles, heads, complete sticks, and accessories. This manufacturer of men's and women's lacrosse products, as well as soccer, volleyball and field hockey equipment. Features an extensive line of lacrosse equipment, apparel, and accessories for men and women. Designer and manufacturer of lacrosse helmets, eyewear, and accessories. Premier manufacturer of innovative, performance lacrosse equipment and apparel. Offers official lacrosse goals, nets, and field line markers.